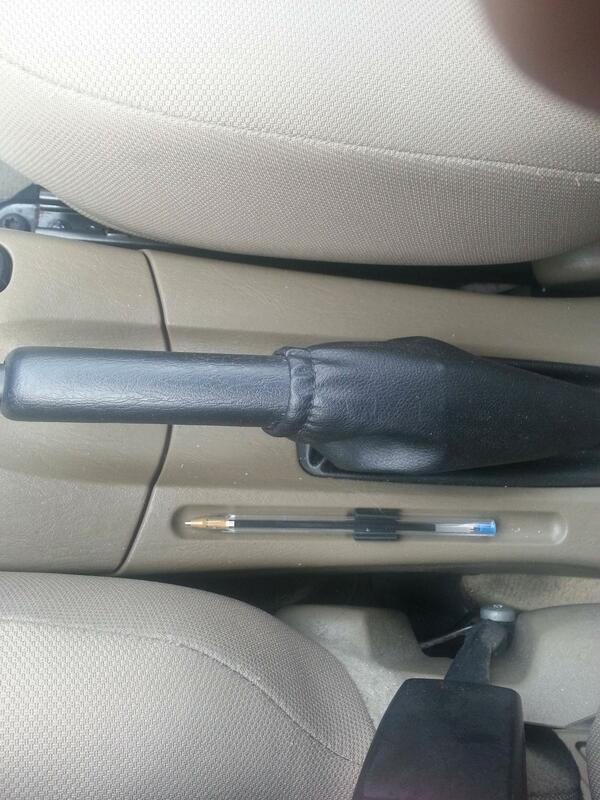 There’s been a somewhat unusual (yet mildly interesting) photo floating around of a pen holder inside a car (a Ford Focus). While at first a pen holder doesn’t seem like something you’d normally find in a car, you soon realize something even that small could prove rather handy inside a car -- how often have you needed to quickly jot something down? Ever needed to sign your name on a birthday card on the way to a party, perhaps? Small details like pen holders exist in websites and applications, too. Oftentimes, tiny features can make or break a project, especially in an era where mobile apps with animations and visceral feedback abound. There are plenty of examples of “pen holder” features in the wild. The Settings menu of the new IFTTT iPhone app opens with a smooth animation of the main dashboard screen flipping around -- and goes a step further by showing a blurred-out version of the other “side” of the just-flipped screen. It’s a cool, quiet feature that makes using the app even more enjoyable. It can oftentimes be challenging to fit what needs to be said in 140 characters, but Twitter goes a step further to help you pare down your Tweets down by highlighting anything over Character Number 140. It’s a perfect example of Twitter’s genius user-centric design found throughout the service. It seems every Web service today requires a different password with different, crazy requirements. At least sixteen characters? Fine, OK. With at least three symbols? Whatever. Oh, and you can’t use a word anywhere? You get the point. Apple makes the process a bit less painful by offering a helpful pop-over that shows how closely your password meets their requirements when signing up for a new Apple ID. It helps to know what your password is lacking instead of submitting the form a half-dozen times trying to meet every silly password requirement. If you’ve used a Wordpress blog, you’ve probably dealt with comment spam. Nobody knows who controls these rogue groups of shoe-peddling and weight loss product-dealing spam bots, but they’re a fact of life on today’s Web. Through the wizardry of Akismet, it’s possible to reduce or eliminate Wordpress comment spam. For personal users, Akismet asks for a small contribution (and why not? It’s a great plugin) -- but if you’d rather not pay, that’s OK, too. When you slide the yearly contribution slider all the way down to $0, the smiley face turns to a frown and the billing information disappears. It’s a nice, subtle -- yet guilt-inducing -- way of gathering payments while still offering an out to those who don’t want to come up with the cash. Apple’s latest OS X, between its impressive new features and power-user-loving touchpad gestures for nearly everything, packed in another terrific feature while typing -- holding down a key will present alternative versions of that letter. That means no more hunting around for a list of keyboard ALT codes, opening a character map, or relying on copying and pasting accented letters -- instead, hold down the button and select the character you need. Google Chrome gives you a friendly message if you go to clear your history or browsing data twice in a short period of time: Next time, try the browser’s Incognito Mode to browse without cookies or history being saved. This notice might help eliminate some embarrassment for online shoppers (or ...other... history-clearers -- use your imagination). Adding small features shows you value your users’ full experience, even beyond perfectly scripted content and flawless information architecture. It shows you’ve tested your product, and builds trust with your customers -- and they’re worth going the extra mile. Go ahead and add the pen holder -- it won’t hurt.